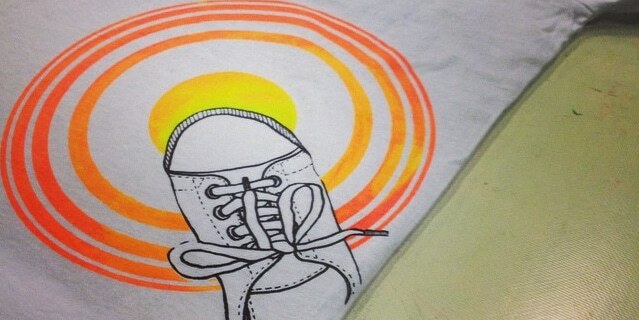 Hopspots wants to create a more fun, healthy and moving school day, where children reach a higher level of learning. Hopspots wants to help children become digital natives. Hopspots revolutionizes the classroom and uses technology in the physical space. 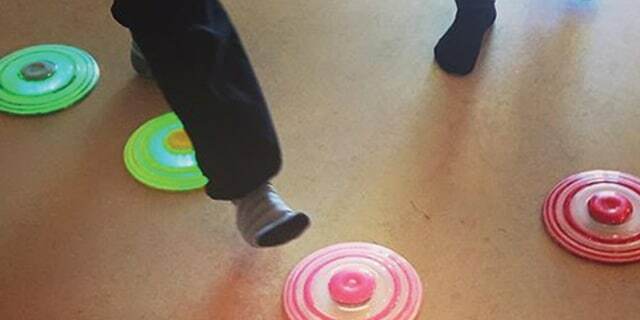 Hopspots motivates children to play and learn through games and movement, and reaches the children at the right level. Children are equipped to co-create their own educational material instead of just consuming it. Hopspots is growing rapidly and is now ready for the market. A lot has happened during the past year: More games have been developed, the staff has grown, customers have emerged and the design of Hopspots is nice and functional. 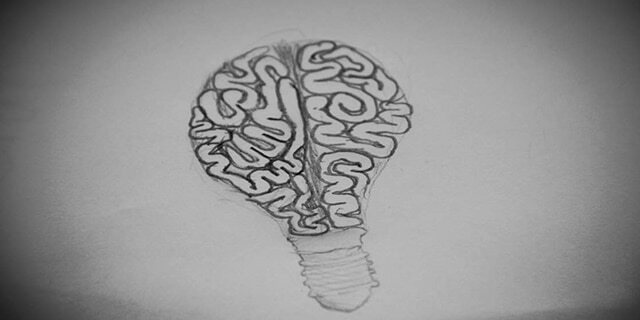 CxD consists of several employees, interns and external partners who assist in programming, making music and content. Currently 4 games have been developed: Sequence, Mix’N’Match, The Chase and Code a Spot. 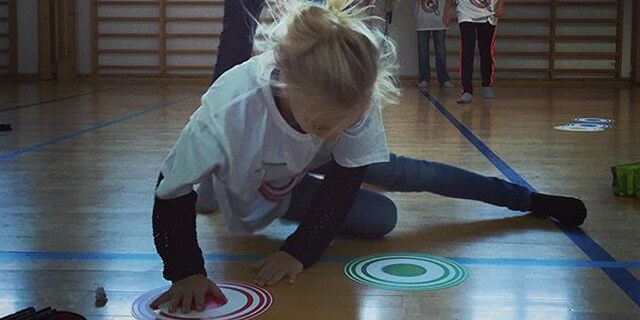 More games are added on a regular basis and next in line is FlowDance, which is developed in collaboration with Uglegårdskolen. Additionally, we are working on the game Historiehopperen with support from the Ministry of Education. Historiehopperen will be ready during 2017. In collaboration with VIA UCC a teachers’ guide is on the way. 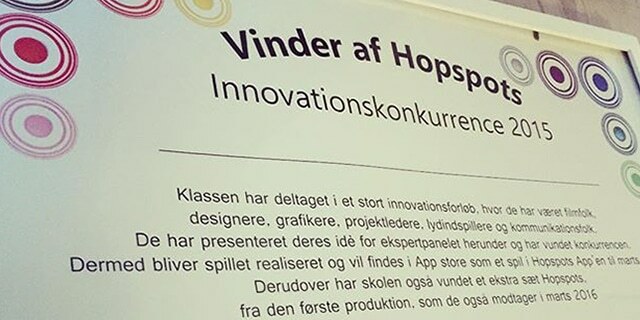 The guide describes how Hopspots can be integrated into Danish education. The goal is to make Hopspots a part of the curriculum. Hopspots is a co-creation establishment built on the belief that real value is created in collaboration with the end-users of the product. 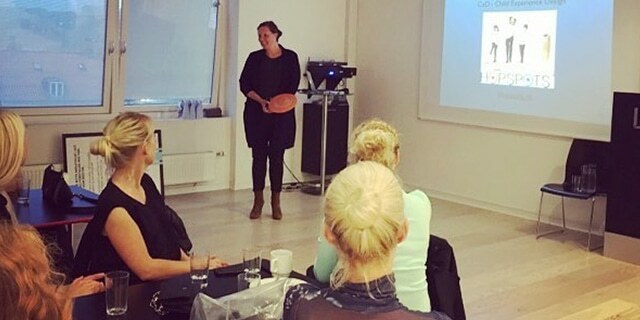 To involve users in the design-process CxD facilitated an innovation course together with four public schools in Denmark during the fall of 2015. The children worked with idea generation and concept development and competed against each other with the aim to create a new game for Hopspots. Uglegårdskolen won the contest with their idea for the game FlowDance. As part of the award the game will be developed and become an integrated part of Hopspots. Early in 2015 the first Hopspots game was ready for a test run. The game was well-received by the children who found it to be fun and motivating. This lead to the investment of an investor and the development took off. 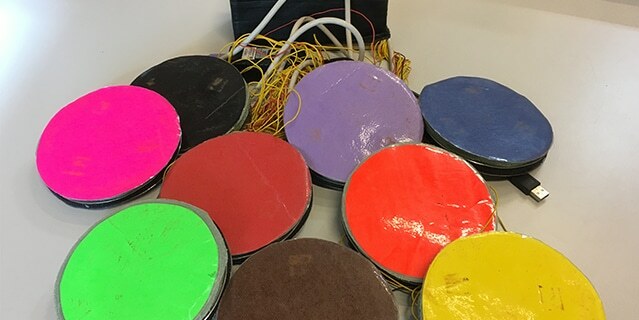 With support from the non-profit organization LivingItLab it became possible to create a prototype that could demonstrate whether it was a useful concept. 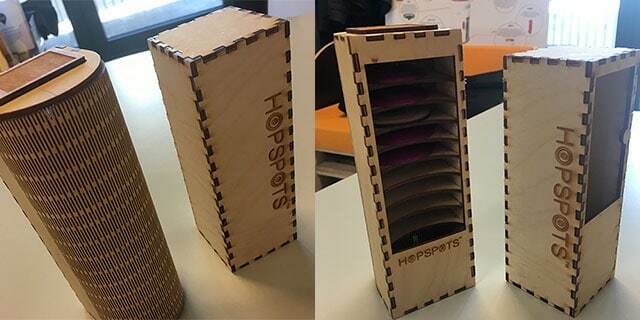 By the end of 2014 the first real prototype of Hopspots was ready. The shells for the spots were vacuum-shaped via an old machine and the colours were hand painted. At the same time the app, which was meant to work together with the spots, was being developed. 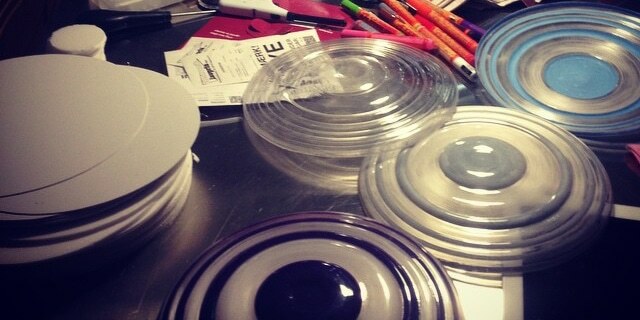 Since then many prototypes have been developed in order to create the right design. Hopspots is made in Denmark and great attention to detail, quality and the good design experience is paid. The company Child Experience Design, CxD, is established and the development of Hopspots begins. To put her vision into practice Aviaja participated in a growth process. Here she worked on developing business plans and goals for Hopspots. The process resulted in expression of interest from two investors. At the same time she presented Hopspots to a panel at ConnectDenmark and got advice and approval of the business plan. Because of this qualification Aviaja was able to start her business. For several years no one worked on Hopspots. But with the arrival of the new school reform in 2014 new opportunities for development arose and Aviaja chose to make Hopspots a reality. Movement was now a requirement in teaching which perfectly matched Hopspots’ philosophy, namely movement, learning and play all in one. New technologies, such as the iPad, made it easier to bring the idea to life and the market had matured and was now ready for the product. The concept of Hopspots was developed through Aviaja’s master’s project at Aarhus School of Architecture where the first sketches were made. At that time the iPad did not yet exist and the first container for the spots was a plastic tube. However, the design of the spots has kept its original form. The first prototype was made with a hacked keyboard and Flash and the idea of the connection between the spots and sound was tested. 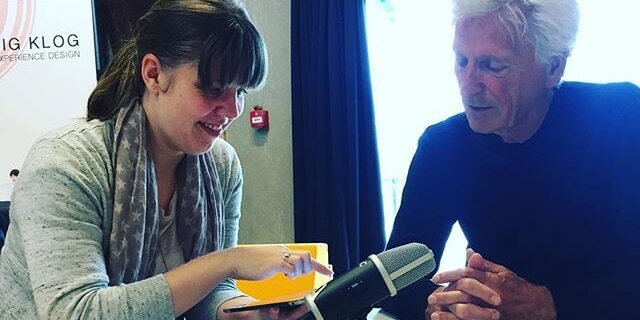 Aviaja came up with the idea for Hopspots 10 years ago when she needed a topic for her master’s project at Aarhus School of Architecture. She was passioned in finding a way to combine technology and physical space with focus on children and their interaction.